[ARCHIVED THREAD] - Want list - Plum, Russian Red, Bakelite, and?? I want to build or purchase(build seems cheaper) 2 - 5.45 and 2 - 7.62. The Plum and Bakelite should be 5.45, correct? The Russian Red and(looking for suggestions) should be 7.62, correct? Should I buy Saigas and convert? What is the proper hand guard etc. for a bakelite magazine? Russians used Amber Shellac, never anything red. Anything you see advertised as "Russian Red" is a misnomer due to ignorance....either on the part of the seller, or the buyer. Either way, it's not what right looks like. 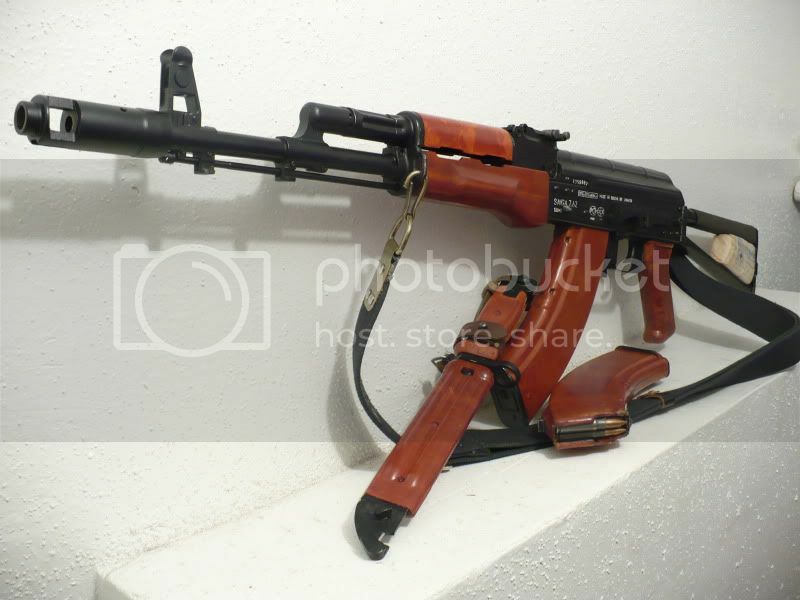 If you want to get an AK that has more of a classic Russian wood look to it, buy Russian wood. Don't become another victim of the "if we call it Russian Red that means it's an exact replica!" crowd. Please. I have been down this road. I love me some Saiga conversion time. I suggest that if you do it, you do it all the way. Trigger guard, FSB, GB, lower HG rtetainer. I've done them from black poly to Russian laminate and everything in between. Here are a few examples. 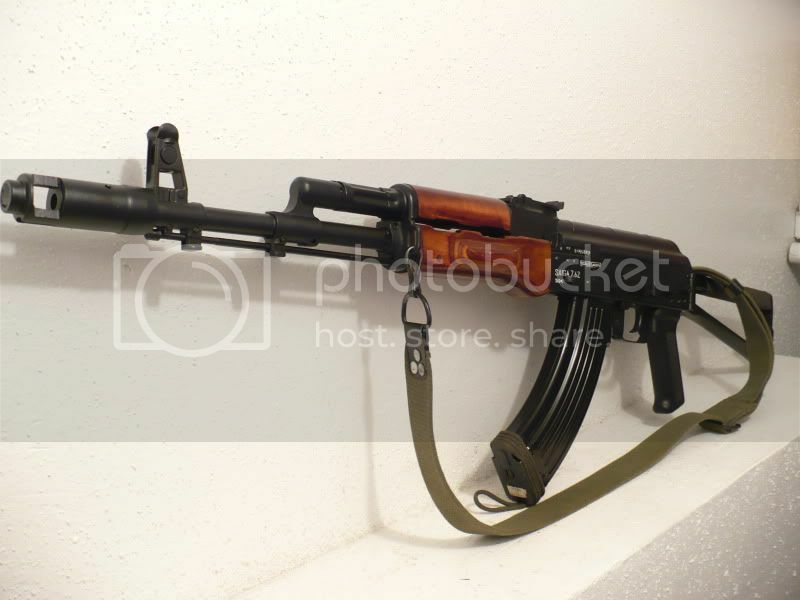 Is all Russian AK's with Bakelite mags and hand guards folders? The earlier Russian folders and standard rifles had wood, later they were polymer. 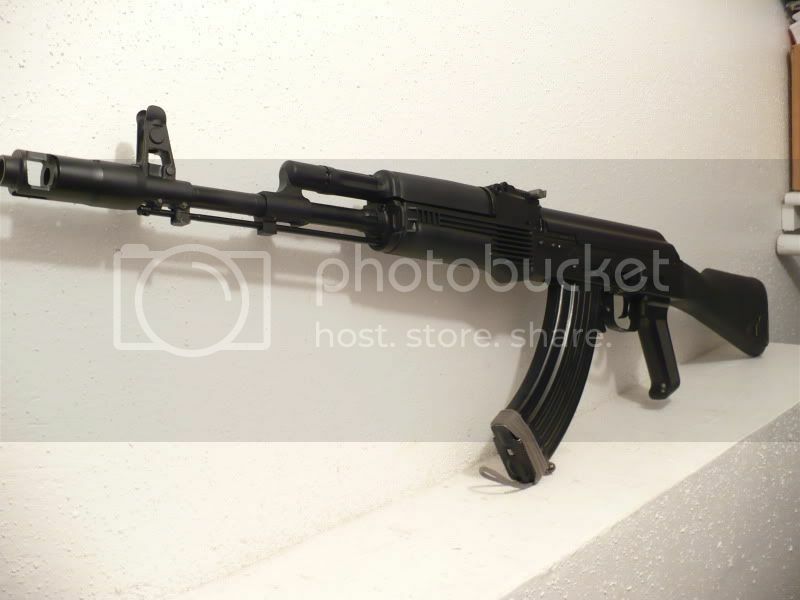 AK magazines are not Bakelite. Bakelite is a phenolic resin mixed with a filler like saw dust. The red magazines are made of a polymer called AG-4. It's some type of hard plastic. Learn something new everyday. Total newb here. its all in the shellac, variations in color range from honey - brownish red. Anyone got a favorite for conversion parts and wood? What kind of wood Do you want? I would keep my eyes on the equipment exchange.